Casa De Cocum in Dabolim might be much closer to the airport than your regular Goan holiday homes or resorts, but it doesn’t compromise on an ocean view. And neither does it take shortcuts as far as holiday vibes are concerned with its beautiful Spanish vibe. Located just 4 kms from the airport, Casa De Cocum (what a cute name!) offers the best of both worlds — convenience and peace, all nicely wrapped up in a stunning house. 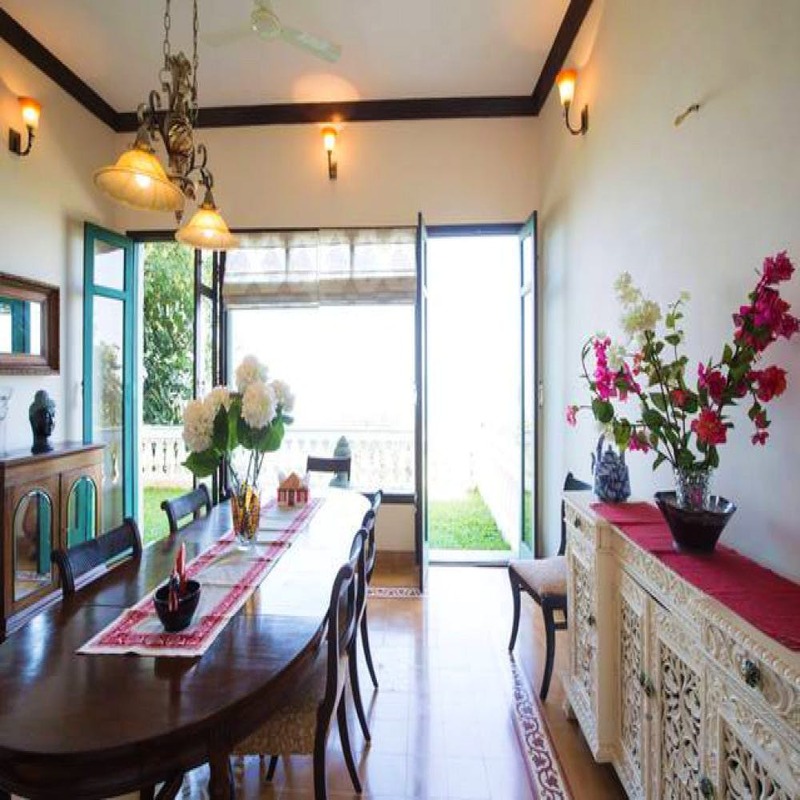 The villa has three bedrooms and can accommodate as many as 7 people, for about INR 3k each. With a bohemian decor, complimented with decorative motifs that include vases and Buddha statues, Casa De Cocum is both inviting and captivating. From the handcrafted room dividers, clever tiling and walls echoing every pastel shade possible and air conditioning to a modern, well-equipped kitchen and a chic bar, the villa is gorgeous. It combines elements of the old and new in perfect harmony. The rooms also echo this balance. Each room has an attached bathroom and all come with a scenic view of their own. You and your fam can also dine with a view, as the dining area opens up to an expanse of blue. Grab a book and relax or rent a scooter and explore Dabolim. The bed and breakfast also offers free parking facilities and everyone's favourite thing – free wifi! Look out for Toby, the pet boxer. The owners will help you get by, by driving you around and giving you recommendations of restaurants close by and places to visit. Head to the Naval Aviation Museum to get some insight into Indian naval history. Close by beaches include Bogmalo and Hollant, where you can go for a walk or head to the shacks for a beer. Head to Joet’s nearby for some delicious seafood like mussels rava fry and prawn biryani.